Procurement Systems details the whole spectrum of procurement issues in the construction industry, starting with the client /customer and running through managerial, cultural and IT-based issues. The book commences with an overveiw of previous work and a section on selection criteria is provided to enable practitioners to make their choices of procurement form. 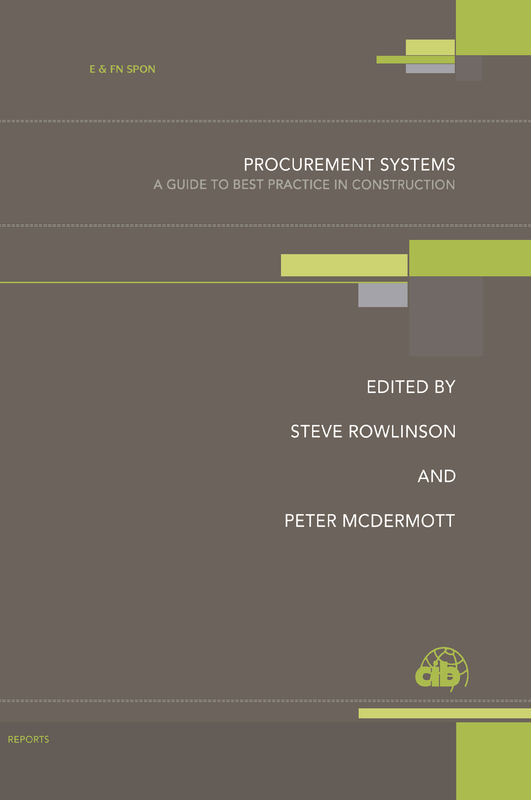 Importantly, perfromance comparisons of different procurement forms are discussed and the main emphasis of the book is to highlight best practice based on the most up-to-date research. One chapter deals specifically with developmentally orientated procurement issues in NICs (newly industrialised countries), where best practice is assessed from a different set of perspectives. The authors contributing to this book are among the most highly respected and eminent in the field.